Went to Monster Energy Cup in Las Vegas. This event is held at Sam Boyd stadium and signals the end of the racing season for 2015. Great racing this year. 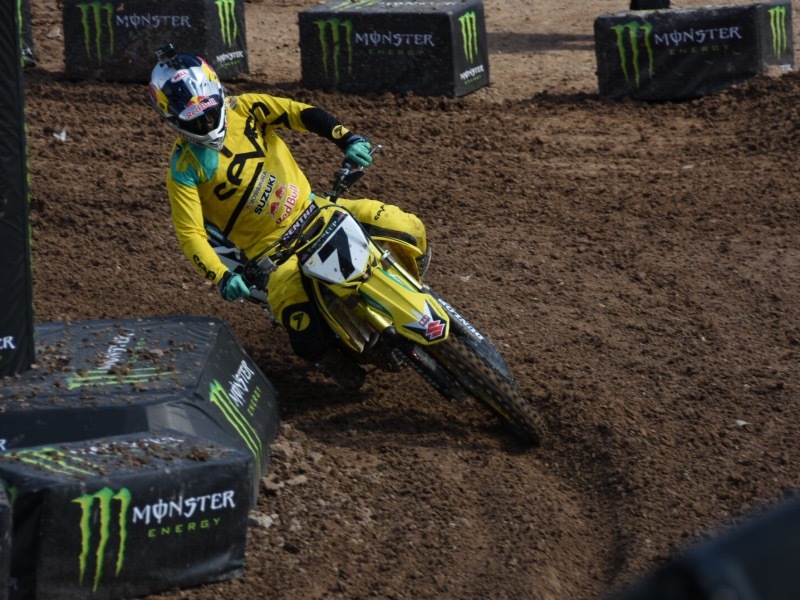 Ken Roczen ended up winning the $100k. Jason Anderson the truck with 3 hole shots. MORGANTOWN, W.Va. (November 11, 2013) – In honor of Veteran’s Day, MX Sports Pro Racing and the National Promoter’s Group (NPG) are proud to announce the continuation of an initiative with the Veteran Tickets Foundation, where active and retired military veterans will once again have the opportunity to attend any round of the 2014 Lucas Oil Pro Motocross Championship, sanctioned by AMA Pro Racing, at no cost. For 2014, Lucas Oil Pro Motocross has donated 50 General Admission tickets for each of the 12 rounds of the Nationals to the Vet Tix foundation. Tickets will be available to all military veterans three weeks prior to each event through VetTix.org. “The donation of free tickets has dramatically widened the range of ways that veterans can relax, enjoy themselves, share smiles with their families and loved ones, and for some, be re-integrated into civilian life,” said CEO and Founder of Vet Tix Michael Focareto. Major sports franchises from Major League Baseball, the National Basketball Association, National Football League, and National Hockey League have also partnered with Vet Tix, as have World Wrestling Entertainment and Professional Bull Riders. Lucas Oil Pro Motocross is one of the first prominent motorsports properties in the country to offer this one-of-a-kind service to all veterans of the armed services. Vet Tix is a national nonprofit organization based in Phoenix that provides free tickets to veterans and active-duty members of the military and their families. The concept of Vet Tix was developed in 2008 by U.S. Navy veteran Michael Focareto. Since then, the organization has given away more than 725,000 tickets to veterans nationwide. All active and retired military veterans can create an account on VetTix.org to receive emails and reminders about when Lucas Oil Pro Motocross tickets become available. More information about Vet Tix can be found at VetTix.org. The 2014 Lucas Oil Pro Motocross Championship kicks off Saturday, May 24, with the Glen Helen National in San Bernardino, Calif. 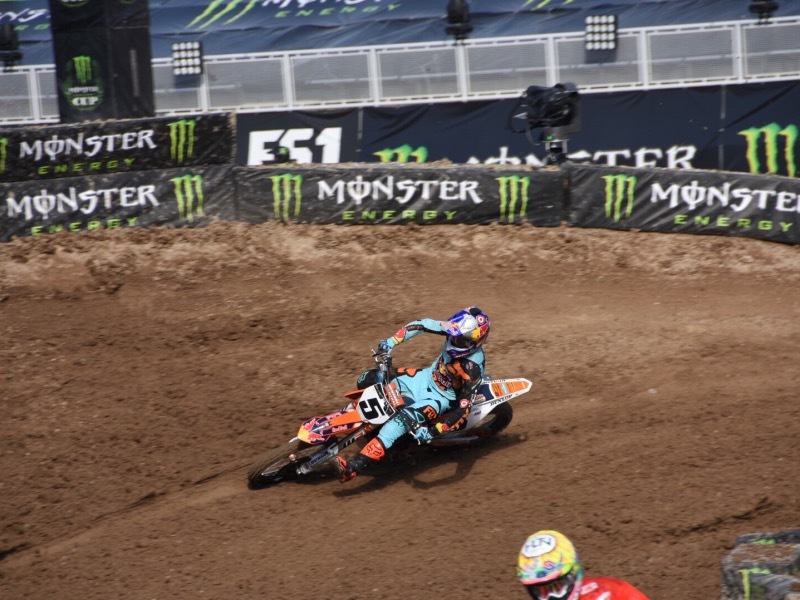 The world’s best riders will compete over the course of 12 rounds of action on the most renowned motocross tracks in the country. For additional information, please visit our new URL ProMotocross.com and LIKE the Pro Motocross Facebook page and follow @ProMotocross on Twitter and Instagram for exclusive content and additional information on the latest Lucas Oil Pro Motocross Championship news. Alli Sports is a media, event and branded content company that specializes in action, adventure, and adrenaline based sports. Alli Properties include the Dew Tour, Lucas Oil Pro Motocross Championship, the Red Bull Signature Series, World of Adventure Sports presented by Go Pro and Octane Academy founded by Ford and Alli Media, which creates original content, produces and presents content with partners and distributes content through a variety of channels. Alli Sports is a division of the NBC Sports Group. More information can be found at www.Allisports.com. When the Comcast-NBCUniversal transaction was completed in January 2011, the sports assets of the two companies combined to form NBC Sports Group, which serves sports fans 24/7 with premier live events, insightful studio shows, and compelling original programming. The sports media company consists of a unique array of broadcast television, cable television, radio and digital sports assets, including NBC Sports, NBC Olympics, NBC Sports Network, Golf Channel, 12 NBC Sports Regional Networks, NBC Sports Radio and all of their respective digital properties. NBC Sports Group possesses an unparalleled collection of television rights agreements, partnering with some of the most prestigious sports properties in the world: the International Olympic Committee and United States Olympic Committee, the NFL, NHL, NASCAR, PGA TOUR, PGA of America, USGA, Churchill Downs, Premier League, MLS, Tour de France, French Open, Formula One, IndyCar and many more. Lucas Oil is a worldwide leader in the production of oils, lubricants and additives. Based in Corona, Calif., Lucas Oil Products is one of the fastest-growing additive lines in the consumer automotive industry, featuring a premium line of oils, lubricants and problem-solving performance additives. Through innovative product research and development, along with aggressive marketing programs, Lucas Oil Products has established itself as the top-selling additive line in the American truck-stop industry. Lucas Oil is involved in an array of motorsports sponsorships, including the “Official Motor Oil of the Pro Motocross Championship.” Visit www.LucasOil.com.